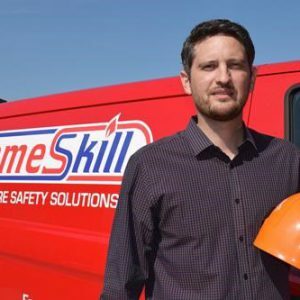 Flameskill has 30 years’ experience providing fire and safety solutions throughout the UK and around the world. Our services include: * fire extinguishers * fire alarms * emergency lighting * fire suppression systems * fire risk assessment * fire training * cylinder testing & refilling, to name a few. Our clients are in both the private and public sectors across the UK and globally, in all sectors of industry. Company and staff accreditation/training are extremely important. We carry all the relevant approvals, and meet all current regulatory standards. All of our service technicians are fully trained and third party accredited. 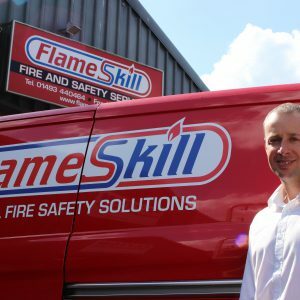 As an independent service supply company Flameskill is able to provide a competitive range of products tailored to our clients’ particular situation and to service all types and make of equipment commonly in use in the UK. Flameskill has a specialist marine/offshore division. From equipment service to product supply, we can carry out your requirements. Available 24 hours a day, 7 days a week, 365 days a year, for urgent and emergency situations. 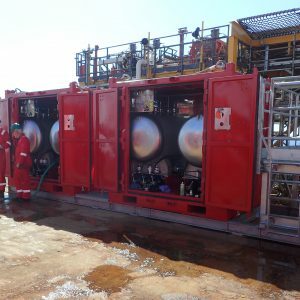 Lloyds Register, DNV and ABS Approved. 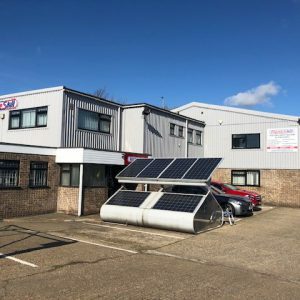 At our Great Yarmouth head office we are fully equipped with the most up-to-date plant to undertake inspection, testing, recertification, refilling and refurbishment of all types and makes of portable and fixed system firefighting and safety equipment. We have a number of service centres located throughout East Anglia, ensuring that customers are given prompt and reliable service. We are third party accredited to ISO 9001, ISO 14001 and UKAS 17020:2012. Our service technicians also undergo third party accreditation with BAFE or the respective accreditation body. For full company accreditations, please see our Accreditations page in About Us. Please contact us for Policy Statements.